Aloha! South Sea Arts recently carved out some new designs for a client. This project includes a tropical fish design with 6 inch and 4 inch wide custom Polynesian wood molding. In addition to our ceramics (tiki mugs, bowls, vases, and other pieces) we supply custom woodwork to clients all over the Pacific Islands. 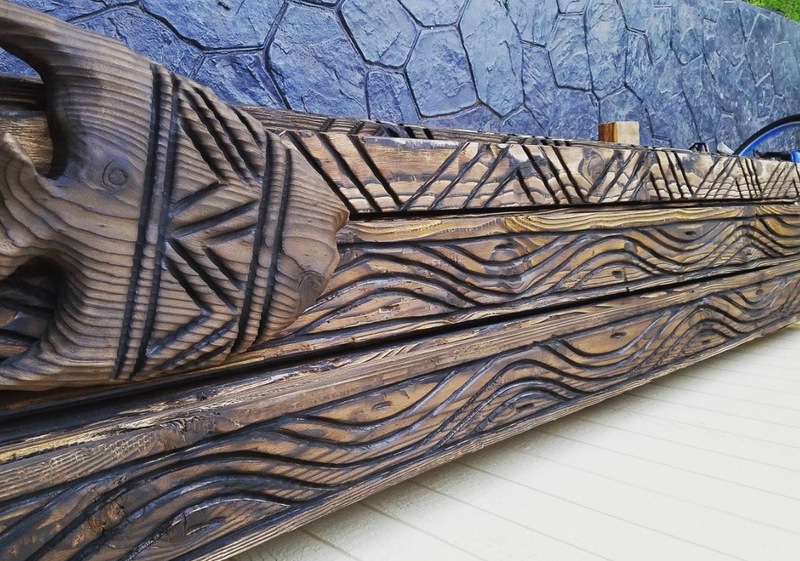 Whether you need new hand railing, building trim, ceiling/floor/wall finishing, or a tiki bar set-up South Sea Arts can do it all. Contact us for an estimate on your custom needs.